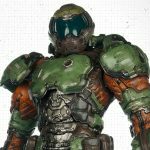 Last month, Gaming Heads posted the product pages for their first two Doomguy Collectible Figures. 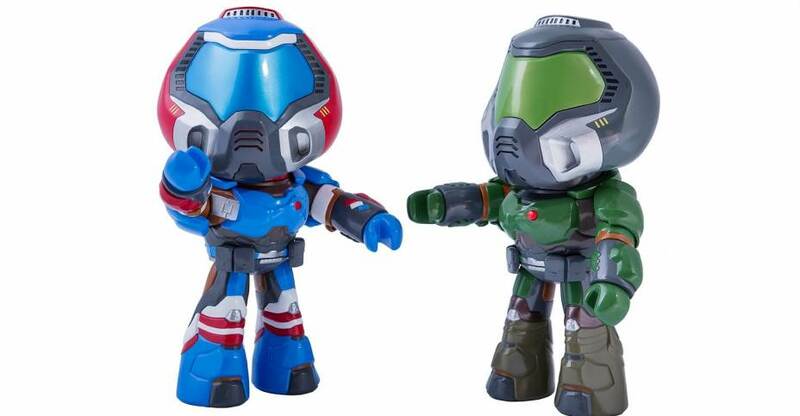 These small figures are replicas of the in-game collectible figures from the reboot of Doom from 2016. In Doom, there were 26 Doomguy’s to collect, each in a different color and unlocking a different bonus in the game. The standard Doomguy and the Patriotguy are both in stock and available for immediate shipping. Gaming Heads has also opened up pre-orders for their third version; Pinkguy. Due for release some time next month, the figure is priced at $39.99. Gaming Heads is proud to reveal the DOOM®: Pinkguy collectible action figure with articulation and sound. Standing approx 9 inches tall and made using high quality PVC, the Patriotguy collectible has been designed to feature articulation of the head, arms, wrists and waist to depict him as found in game. At the press of a button, the E1M1 Hangar theme tune can played via a short sound clip. If you played the fantastic Doom reboot from 2016 or the new (and also excellent) Doom VFR, you’ve no doubt come across the Doomguy Collectible Figures. These figures are hidden throughout the games, and finding them helps to unlock bonus content for the games. In Doom 2016, there were 26 Doomguy’s to collect, each in a different color. 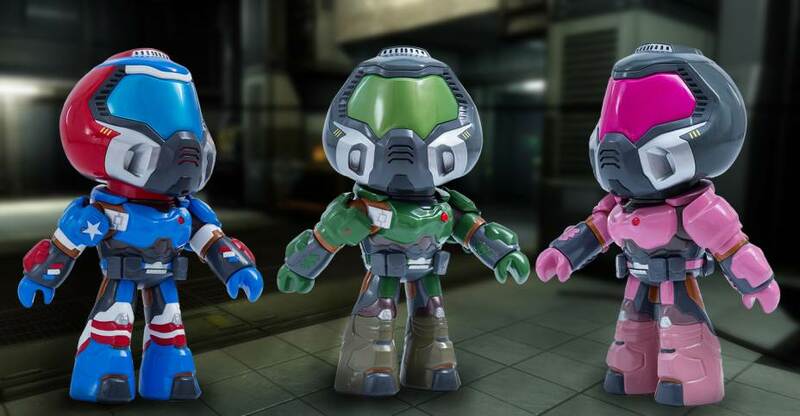 Collectible company Gaming Heads has shared a preview for their upcoming Doomguy Collectible Figures. They look to be life size replicas of the mini figures from the game. 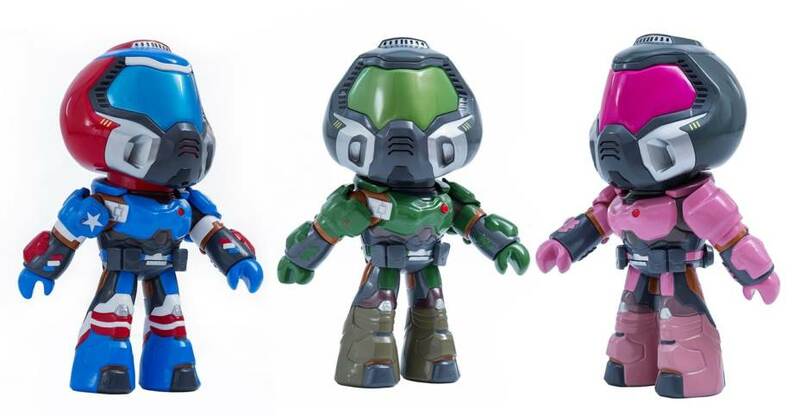 The first three shown come in the standard green of the Praetor Armor, a red white and blue version, and a pink and gray version. No additional details are available at the moment. Click the banner image above to check them out. Last month, 3A revealed their new Doom – Marine 1/6 Scale Figure based on the Praetor Suit seen in the new video game. 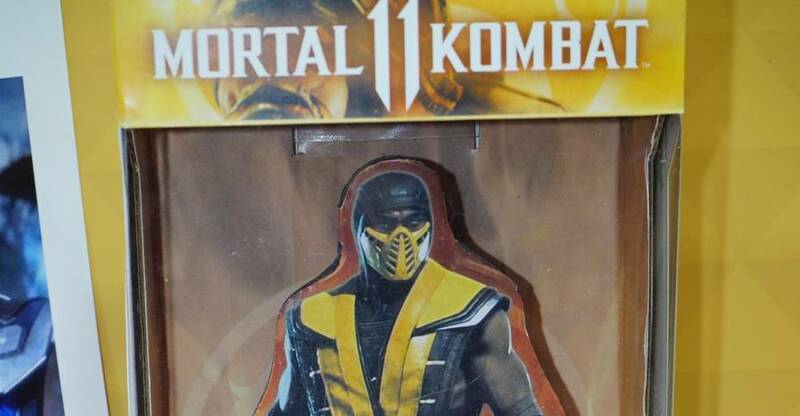 Pre-orders are live for the figure. You can get the “Chainsaw” Exclusive Edition at the Bethesda Store and the Standard Edition is available at ThreeA Stockists. If you plan on buying the figure, get your pre-order in soon as that closes on September 29th. Bethesda, id Software, and ThreeA proudly unveil THE DOOM MARINE, the highly anticipated 1/6th Scale Collectible Figure from the critically acclaimed game, DOOM®. Standing over 13-inches tall, The Doom Marine figure features full range of articulation an accurately detailed Praetor Suit, a selection of interchangeable hands, and is armed with deadly weaponry perfect for slaughtering hordes of demons – including the fan favorite Super Shotgun. 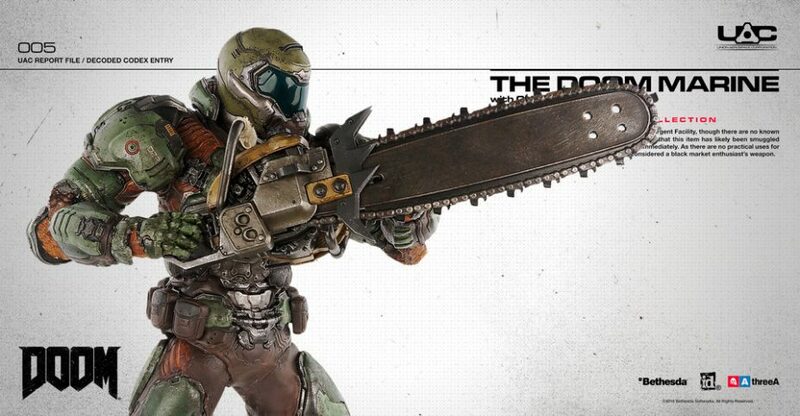 The Bambaland.com and Bethesda Store Editions exclusively include the absolutely destructive Chainsaw. New photos have been released by 3A. This gives us our best look yet at the Doom Marine. See the new photos after the jump. The Doom Marine is priced at $260. It is scheduled to ship in the second quarter of 2017. Read on to see the new photos.